WE WATCHED THS LION FOR AN HOUR OR SO AS HE LOOKED OVER HIS PRIDE OF ABOUT 18 FEMALES AND CUBS. WITH ALL ODDS AGAINST HIM HE IS STILL THE KING. WITH HELP FROM RESPONSIBLE TOURISM HIS RANGE WILL STAY SAFE, HIS CUBS WILL GROW. ETOSHA NATIONAL PARK, NAMIBIA. IMAGE: LES MEDLEY. Do you remember the conversations late at night? Full of passionate vows to change the world – carried on seas of red wine or coffee until the sun rose. I do. But ever-so-slowly young idealism gave way to career strategies and family obligations. It seems to be the natural progression of things, idealism crowded out by growing responsibilities – or pushed into one of those overstuffed closets we never seem to have time to empty. At least that was my story. Then one day I saw an impossible year printed across the top of the calendar. It had to be a mistake. And that crash was an avalanche in the closet. Out fell dreams from decades past. There we stood, the three of us: the old battered, frayed idealism, facing the woman of a certain ageand a watching calendar, a silent witness. No one person can save the world. The world does not, in fact, need saving, we humans do. We are cause and effect. Poverty, hunger, war, bigotry, species extinction, environmental destruction, climate change, we have accomplished all of it, together. We can’t change it back – but maybe can we make it better. Together. The concept of “Responsible Tourism” is a deceptively simple (dare I say, “idealistic”) working philosophy for an old industry, one that is rapidly becoming the largest in the world. Its core principles could easily be the theme for one of those youthful late-night conversations. Includes local people in business opportunities, decision making, and the economic benefits of their local tourism industry. LES AND I IN THE WESTERN EVERGLADES. IT IS TIME TO PUT ALL OUR EFFORTS INTO HELPING THE WORLD: RESPONSIBLE TOURISM IS OUR TOOL. Shortly after that calendar triggered avalanche, Les and I took a good hard look at how we wanted to proceed with our lives. No, we are not kids. We understand - in full-color - life realities that we could not even conceive of decades ago. But yes, there is still something to be done, and the glue of two lifetimes worth of experience might reinforce a little of that frayed idealism. One of the side effects of … ahem… experience … is the understanding life’s finite nature. We should be cherishing every single moment with friends and family, strengthening the connection with each other and our world. And we need to have more fun! That concept sometimes gets lost in responsibilities. Les and I agreed that fun - for us, and for you and your family also – must be part of our new endeavor. Our goal is nothing less than to work to bring peace, understanding, and stability to the world while ensuring its nature and cultural heritage for the future – through travel - while having fun: Responsible Tourism. Destination: Wildlife was born to meet that goal. Come on! The clock is ticking. Let’s go on vacation! We have spent the last year selecting destinations for their WOW factor, unique experience, and tourism’s potential impact on the social, cultural, and economic well-being of the people, and the area’s ecology. This is responsible tourism. Whether you join us by armchair or in person, you are not only having the experience of a lifetime – but you are being smiled upon by your inner idealism. But this is not a new idea. Over the millennia cultures thrived or perished predicated in large part on the systems they developed for the respectful use of water, land, and animals. The natural world was understandably considered sacred. As the human population grew and evolved from hunter-gatherer into agricultural, and then into industrial societies, those first nature-centric systems were discounted into oblivion. Until today, we find ourselves in a post-industrial modern world facing multiple socio-environmental crises of unfathomable proportions. DOES RESPONSIBLE TOURISM IMPACT GLOBAL WARMING? MAYBE. MAKING PRISTINE NATURE ECONOMICALLY VALUABLE CAN MEAN LESS FOREST CLEAR CUTTING AND MORE CONCERN WITH AIR QUALITY. BOTH DIRECTLY IMPACT GLOBAL WARMING. 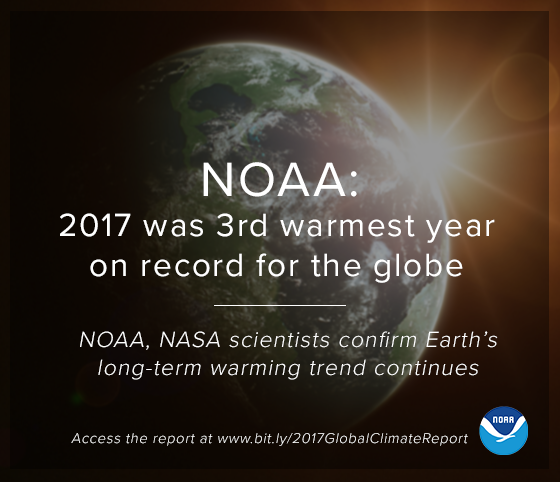 IMAGE THANKS TO THE NATIONAL OCEAN AND ATMOSPHERIC ADMINISTRATION. In the US by the 1940’s, we were losing habitat and species at an alarming rate. Millions of acres of old growth forest (150– 1000-year-old trees) had already been clear-cut, huge dams were permanently destroying entire ecosystems for hundreds of miles up and down the rivers they had altered. The ecological destruction factored heavily on the decline of species including salmon (salmon spawn in old-growth forest streams), destroying the once venerable salmon fishing industry. In cities like as Pittsburg, Chicago, and New York, factories spewing chemical infused smoke putrefied the air and obscured the sun with thick black soot that settled across cities and towns. In Donora, Pennsylvania, on October 26, 1948 the smoke from the US Steele and Donora Zinc Works covered the town killing 20 in one day and sickening 40% of the 14,000 population. NOON TIME IN DONORA IN OCTOBER 1948. THE SMOG MADE IT SO DARK THAT STREET LIGHTS WERE NECESSARY. 20 PEOPLE DIED AND 40% OF THE 14,000 RESIDENTS WERE SICKENED. THE DONORA TRAGEDY WAS THE BEGINNING OF CLEAN AIR LEGISLATION IN THE UNITED STATES. IMAGE: CALU ARCHIVES AND TIM KOVACH. And the war on wildlife raged with bounties for dead wolves, coyotes, prairie dogs, and more. Progress was killing both humans and wildlife. EXTINCT SINCE 1922. "MONARCH" THE LAST CALIFORNIA GOLDEN BEAR (URSUS ARCTOS CALIFORNICUS), THE EMBLEM OF THE STATE FLAG , CAN NOW ONLY BE SEEN IN A GLASS BOX AT THE CALIFORNIA ACADEMY OF SCIENCES. IMAGE: "PAYTON FROM CHICAGO"
In North America alone, the Eastern elk (1887), the Labrador duck (1878), the Southern California kit fox (1903), Merriam’s elk (1906), Newfoundland wolf (1911), the passenger pigeon (1914), The Carolina parrot (1918) California golden bear (1922), Southern Rocky Mountain wolf (1935), and the Cascades mountain wolf ( 1940), and more were all brought to extinction by hunting and habitat loss. The Mexican grizzly bear soon followed (1964). Additional bird, elk, bear, and grey wolf species and subspecies too numerous to list were among those extinct or extirpated from most of their range. ALDO LEOPOLD, 1887-1948 FATHER OF THE UNITED STATES WILDERNESS SYSTEM. IMAGE THANKS TO THE ALDO LEOPOLD FOUNDATION AND THE UNIVERSITY OF WISCONSIN'S LIBRARIES DIGITAL COLLECTION. 1912. Aldo Leopold, was only 24-years old when he shot a wolf and it changed his life. June 3, 1924. The first federally recognized wilderness area in the United States was set aside thanks to a proposal made by Aldo Leopold. The Forest Service set aside more than 500,000 acres of mountains, rivers, and desert surrounding the Gila River. And the Gila National Wilderness became a model for the preservation of wilderness. 1949. Later Leopold wrote a series of essays in which he outlined a “land ethic.” At its heart the idea is simple: Care about people and land and strengthen the relationship between them. When we see the land as a community to which we belong, we may begin to use it with respect and love. From The Sand County Almanac, 1949. Exactly the experience of the ancient peoples. In 1962 Rachel Carson’s book, Silent Spring, touched off a new interest in nature among ordinary people. Thousands of us stampeded into whatever natural Eden we could still find, from the Himalaya to the beaches of Bali: we invaded the forests, shores, mountains en-masse without concern for conservation or even methods for dealing with the most basic realities - like trash and human waste. And the incursion has not stopped since. The desire for nature could be wonderful – mostly. Unfortunately, our unbound search for authentic nature and wildlife experiences also caused destruction as well as unwittingly contributed to the damage or collapse of some indigenous cultures. There had to be a better way. Just enjoying, or even loving something, is not enough to protect it. In other words, it is not “what” we do, but “how” we do it that makes a difference – even as tourists. And sometimes that means guidelines. In 1996, The World Conservation Union (IUCN), officially adopted his definition. But can simple words and definitions help the planet? Johannesburg, South Africa, 2002. 280 delegates from 28 nations met at a side conference before the UN’s World Summit on Sustainable Development. It was here at The Cape Town Conference on Responsible Tourism in Destinations that the socio-economic potential of tourism, both locally and worldwide, was formally recognized and codified. The result of this conference was the Cape Town Declaration on Responsible Tourism. Like our Declaration of Independence and later the Constitution of the United States, both of which appear simple at first but prove to be multi-leveled, complex documents, respect is the basis of the Cape Town Declaration of 2002; respect for individuals and the differences between us. All three papers have running through their tenets, an understanding that the choices we make today, determine the quality of our tomorrows, but the Cape Town Declaration adds one more important dimension: respect for the environment. The Cape Town Declaration on Responsible Tourism acknowledges that there will be as many forms, circumstances, and goals of the tourism industry as individuals and regions are participating. But it put together a set of beautifully simple premises to can be used as the foundation for a better way. It is the founding document for the philosophy we, Les and I, have adopted for Destination: Wildlife, the idea that both international and local tourism industries can be built to enhance human lives and protect the environment and its biodiversity. Ladkha, India The idea of “responsible tourism” is expanding across the globe. In the Himalayas (Hemis High Altitude National Park. Ladakh, India) with help from the Snow Leopard Conservancy, a new kind of tourist industry is developing, and the local people have direct economic benefit. In keeping with their ancient traditions, visitors become immersed in village culture by staying in homes, not hotels owned by outsiders. For the visitor, the experience is more profound, and the economics can benefit the entire host village – but for the endangered snow leopards, as well as Tibetan wolves, the Pallas cat and other species and their habitat that bring the tourists, there is new hope for survival. In Mozambique where wildlife trafficking and poaching once seemed to be an unstoppable industry, the government is making strides to change things in favor of wildlife tourism. Since 1970 over 70% of the wildlife has been lost, but there is hope, even the embattled Gorongosa National Park is welcoming wildlife tourists again, but it is whale shark tourism that is one of the brightest spots. The congregation of whale sharks in the waters of Praia do Tofu bring a steady stream of both tourists and scientists from all over the world. And while the effect of these tourists on the marine life is being carefully studied, so far, they seem negligible; but the impact of nature tourism on the economy has been measurably beneficial to both the people and the preservation of wildlife and marine life. And in our own New York State, where the Division of Tourism, backed by the Governor’s office developed the Watchable Wildlife initiative. This initiative, coupled with water, land and air preservation, is helping small towns and cities like Fort Edward on the Hudson River, regions built on unsustainable industries to develop new, sustainable nature tourism economies. Have you seen a snowy owl? Or witnessed the spring warbler migration? New York is the place you want to be. So, What is Responsible Wildlife Travel? Nature & wildlife ▶︎ Tourist dollars ▶︎ Benefits to Local economy ▶︎ Enhanced Community Well-being ▶︎ Wider Local Respect and Care for the Environment ▶︎ Healthier Habitat ▶︎ Biodiversity Encouraged ▶︎ Thriving Nature & Wildlife ▶︎ More tourist dollars. with fun woven throughout the circle. Communities are made up of individuals. The first principle of responsible tourism is the participation of the local community: opening businesses, helping decide what resources to use and how to use them, and developing infrastructure to support it all. Participation is empowering. Where the local people are stakeholders, with direct economic benefit from the thriving local tourism industry, the result is a healthier, more stable population, with higher food security and a higher education level. In other words: responsible tourism has the economic power to bring Prosperity to local people. We, travelers, benefit too. When the community is involved the atmosphere is usually more welcoming, the service is better, the choices in places to stay or sample local cuisine or experience local culture grow, all in the quest to keep the stream of tourists flowing to the community. RHE BEST WAY TO PROTECT WILDLIFE IS TO MAKE IT ECONOMICALLY VALUABLE TO THE PEOPLE IN THE COMMUNITY. WILDLIFE TOURISM PAYS. LEOPARD IN KRUGER NATIONAL PARK, SOUTH AFRICA. IMAGE: MARK CRONJE. In case it has not been apparent, the economics of responsible nature tourism are good for the ecology and wildlife preservation, too. We humans tend to protect what brings us financial benefit. It is pretty easy to understand that once the animal is dead, be it a lion, polar bear, or bluefin tuna; it is gone. The proceeds from that hunted or poached animal may feed the family today, but kids are hungry every day. A live animal can bring paying tourists to the community for years to come. In business, people usually agree on one principle: If it Pays – It Stays. Live animals require healthy habitat: grasslands, wetlands, forests, streams, rivers, and oceans – that means habitat preservation. Multiply that preservation philosophy by entire communities, towns, regions, countries - and it equals a colossal conservation win for the planet. Changing from a natural resource depletion economy to one that preserves it is a dangerous, even deadly road. There is a lot of money in mining, drilling, forest clear-cutting, and wildlife trafficking. Those industries support entire governments, and some, like the illegal ivory trade, can be traced directly to terrorist groups. That is the situation on the Democratic Republic of Congo side of the Virunga mountains. Rangers and civilians are being killed for their efforts to protect wildlife, and their deaths keep coming. In June 2018 the park was forced to suspend tourism operations - but wildlife tourism is the hope for the region and the people’s work for prosperity and peace will not die. THERE IS GOOD NEWS TOO, AT VIRUNGA NATIONAL PARK IN THE DEMOCRATIC REPUBLIC OF CONGO, TWO NEW ENDANGERED MOUNTAIN GORILLAS WERE BORN. IMAGE: THANKS TO THE VIRUNGA FACEBOOK PAGE. We stand with Virunga National Park, the oldest in the world, and Chief Warden Emmanuel de Merode, his rangers, and the community and look forward a time when the local people, building a healthy future with a thriving responsible tourism industry are calling the shots – not dying from them. When it is safe to go, we will let you know. Which brings us back to that reawakened idealism. Tourism can be a force for peace too. Where the community is empowered to direct their own future by participation in an industry that fosters connection, respect, encourages environment and human health, preserves wildlife, there is the promise of a stable future, the seeds of peace. Prosperity and Peace. Each of us is a caretaker of our world’s collective heritage. We must protect it for future generations - and celebrate it, today. Destination: Wildlife is our contribution. Here you will find unique opportunities for you and your family to travel, experience, connect, and have a great time. 1) When you travel through Destination: Wildlife, you are supporting local economies and families. Our tour companies all give back to the communities they visit, and those local communities are industry stakeholders. Your dollars work toward supporting the local families, educating the kids, strengthening infrastructure, building futures, and impacting directly and indirectly on the preservation of the surrounding nature and wildlife. 2) Destination: Wildlife grows that benefit by dedicating a percentage of every dollar of its income to conservation, too. 3) And you will discover tat your new connection to the world is life changing, every time. So, go ahead – take a holiday. The clock is ticking; the calendar is watching. Go have the time of your life! Let’s do good for tomorrow's world today - together. Every story, article, trip report or other information on the Destination: Wildlife website is about responsible tourism.